In response to popular demand, NorthCloud offers web hosting and development for our clients. 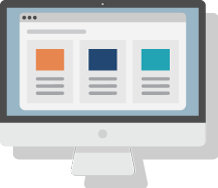 Our technical team can work with you to ensure your website is updated and maintained, with the best levels of performance, availability and security. If you’re sick of trying to get service from a call centre or web form, or want lightening fast performance with your website hosted here in New Zealand, talk to us about web hosting, done properly.